It is no secret that millennials love food. We get excited when brussels sprouts come into season, elevate the pumpkin spice latte to a sacred status and use our $2.45 trillion spending power on, you guessed it: food! Until recently, most of the social media surrounding food was about “me,” which is rather fitting for the “me generation.” We boycott fast food companies because they don’t support our values. We want to remove trans-fat, added sugar and high amounts of salt from our snacks because it’s not good for us. 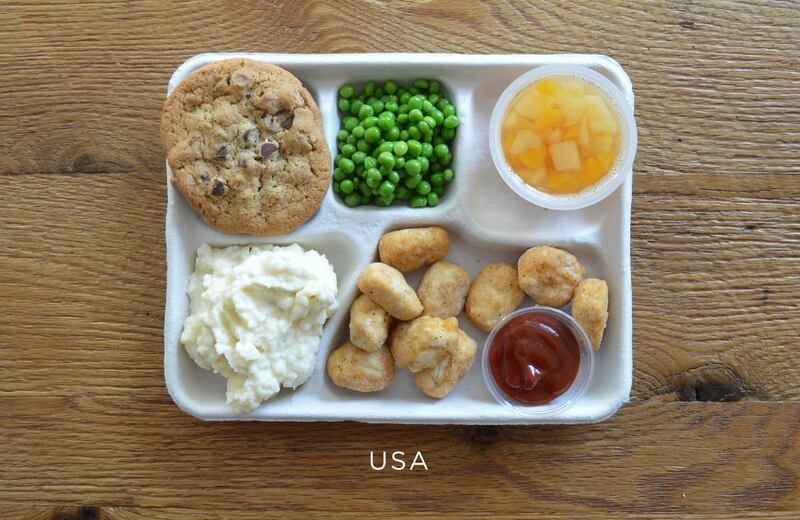 A few months ago, an article began floating around the Internet about school lunches from around the world. 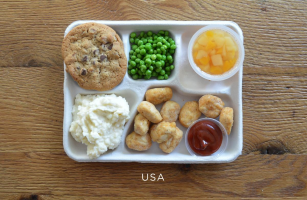 You may remember it: America’s lunch tray showed all beige foods like chicken nuggets, mashed potatoes, a chocolate chip cookie, a spoonful of peas and a cup of peaches drenched in syrup. Scroll down and you’d see Greece’s lunch tray: perfectly cooked chicken over rice pilaf, a side of yogurt with a sprinkle of pomegranate seeds and vine ripened citrus fruit. Social media could not stop sharing this article. Unfortunately, this viral post was not genuine. A little digging revealed that the trays were staged by the company SweetGreen. But it got me thinking: if millennials are so obsessed with food, maybe this could be our issue! With the Child Nutrition Reauthorization, now is the time for us to get involved. There have been about 100 years of government involvement in school cafeterias. Yet, we still struggle to reauthorize the Child Nutrition Act. For those not paying attention to the food fight happening in Washington, D.C., here is a quick primer on school lunches. The Great Depression all but ensured the malnutrition epidemic would grow exponentially. Farmers, however, had excess food going to waste and, more importantly, destabilizing the agricultural economy. The government stepped in to purchase excess food and redistribute it through the Commodity Credit Corporation. Some ended up in school cafeterias. The success of the program encouraged policymakers to expand the practice. By 1936, Congress had authorized the Department of Agriculture to buy up crops and redistribute them to a range of welfare agencies. The expansion of public welfare also meant that as school cafeterias were receiving extra food and instructions on daily allowances, there were Works Progress Administration workers ready to take on the jobs. During World War II, our young men were turned away from service for diseases associated with malnutrition. President Roosevelt made the shift to launch the Community School Lunch Plan to help combat malnutrition. After the war ended, support grew for a pipeline that provided farmers with a place to sell their crops and food for those children who needed it. By 1966, the Child Nutrition Act added free breakfast and by 1975, the program was expanded to include preschools and day cares—and an afternoon snack! We are now overly late in reauthorizing the Child Nutrition Act. Although the problem has just boiled over, the stage was set in 2010 when Michelle Obama announced her Healthy Hunger-Free Kids Act (HHFKA) initiative. It initially had incredible bipartisan support and the endorsement of the School Nutrition Association! The idea was to get more whole grains, as well as fresh fruits and vegetables, onto our students’ lunch trays. How? By requiring a serving be provided, mandating flour be comprised of 50 percent or more whole grains, reducing the amount of sodium in foods and putting healthy snack standards in place. The health benefits were staggering. According to a study in the Journal of American Medical Association Pediatrics, the quality of meals increased by 30 percent under HHFKA! After widespread support, the School Nutrition Association (backed by Con Agra, Coca-Cola, Kraft and some other key players) began to lobby against HHFKA. School administrators felt the regulations placed additional cash straps on already underfunded schools. Some schools reported food waste—mostly those fruit and veggie servings children were required to take (but not required to eat). By January 2016, the Child Nutrition Reauthorization was well overdue, but the Senate had finally reached a compromise: the Improving Child Nutrition Integrity and Access Act. All sides, health advocates and school administrators, and even big business, walked away with something. Health advocates were pleased there were still mandates for fruits and veggies. They moved so that 80 percent of grains served had to be whole grain, which allowed schools flexibility to serve non-whole grain items. Sodium, which was already reduced, but scheduled to drop to lower levels, was put on a hold to allow more time to implement. These compromises should have sailed through the House. Instead, the House Education and Workforce Committee, determined to begin a new lunchroom brawl, decided not to accept the Senate’s compromise. Unlike the Senate, the House Bill, which was called Improving Child Nutrition and Education Act, could significantly lower the required whole grains, veggies and fruits on our children’s lunch trays. The House bill would allow junk foods back into schools. And most importantly, the House would like to make it more difficult for children and families to qualify for free or reduced-price lunches. Millennials, with our food-obsessed culture, health-conscious mentality, social [media] activism and growing percent of the American workforce and electorate, are in the unique position to make real change and end this food fight! Author: Laura Caccioppoli is a millennial and a recent graduate from Villanova University with an MA in political science and a graduate certificate in nonprofit management. She currently works at University of the Sciences and serves on the board for The Consortium in Philadelphia and Americans for Democratic Action Southeastern Pennsylvania Chapter. Her research interests are in health and food policy, cultural competency and social justice.